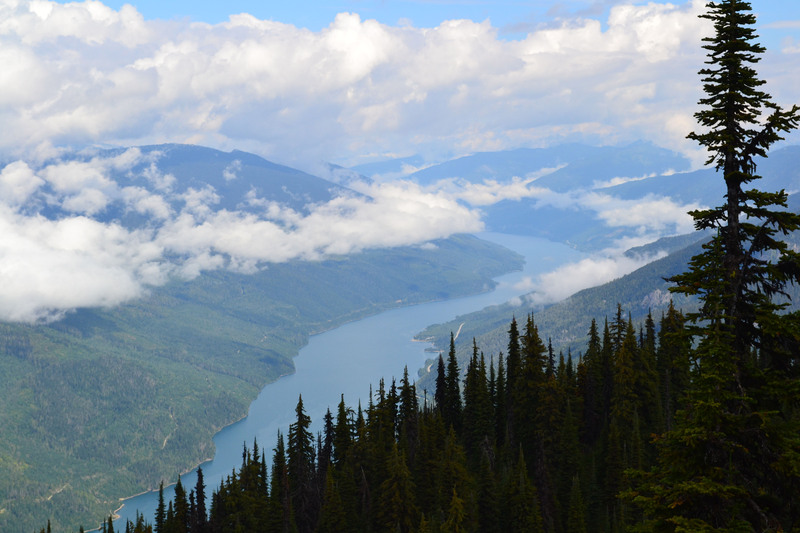 Winding 26 kilometres uphill from an elevation of 470 metres at the bottom to 1,500 metres at the top – this past weekend we navigated our way along the Meadows in the Sky Parkway in Mount Revelstoke National Park in British Columbia. 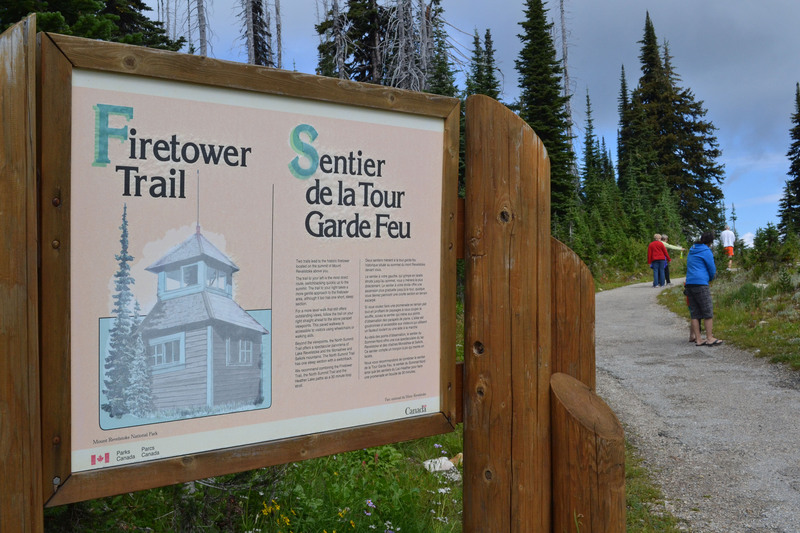 The narrow paved road takes you through dense areas of cedar and hemlock, spruce and fir, to the subalpine wildflower meadows of Mount Revelstoke at the summit. 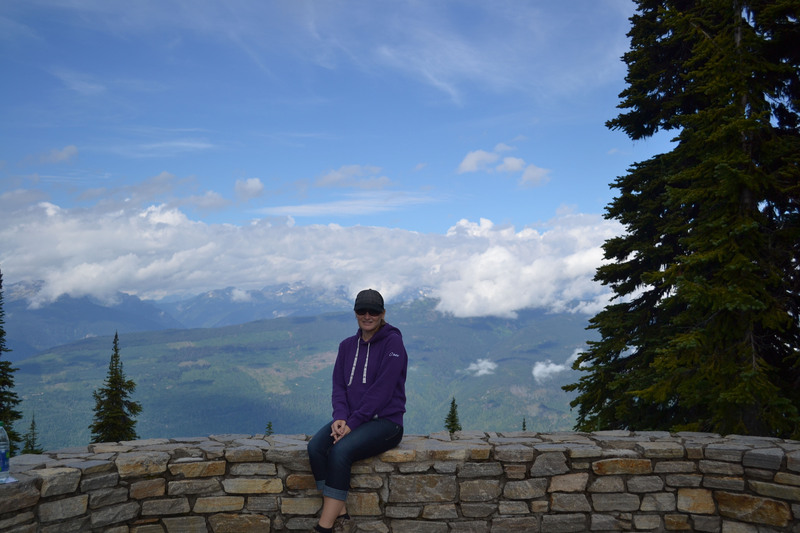 This is the only Canadian national park mountaintop that is accessible by private vehicles. 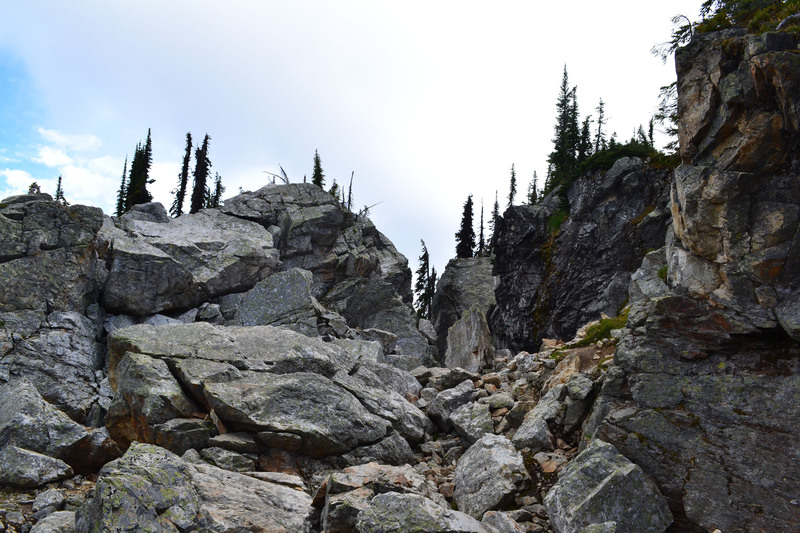 Here are some photos of our time in Mount Revelstoke National Park. 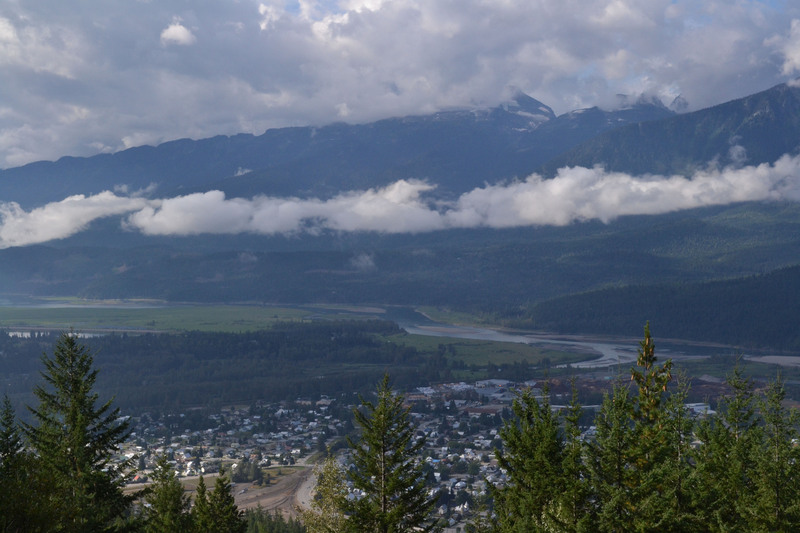 View of the town of Revelstoke from the mountain. 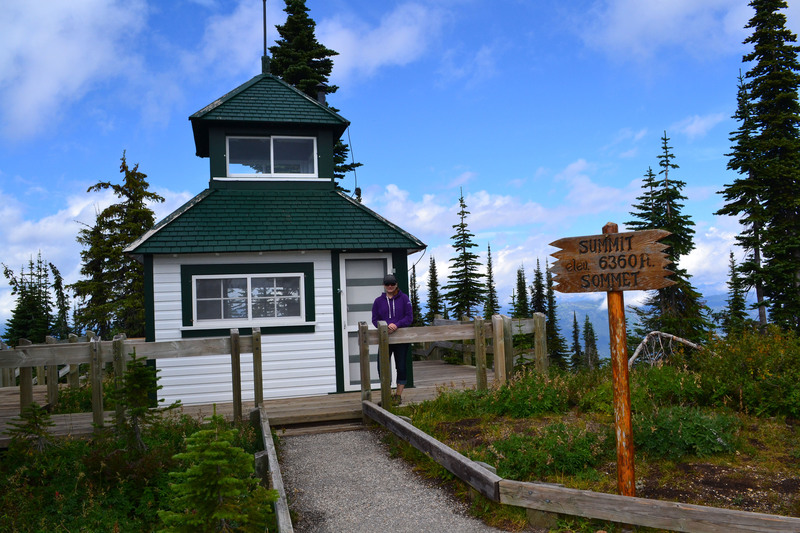 The Firetower trail at the summit. Posing in front of the historic firetower. 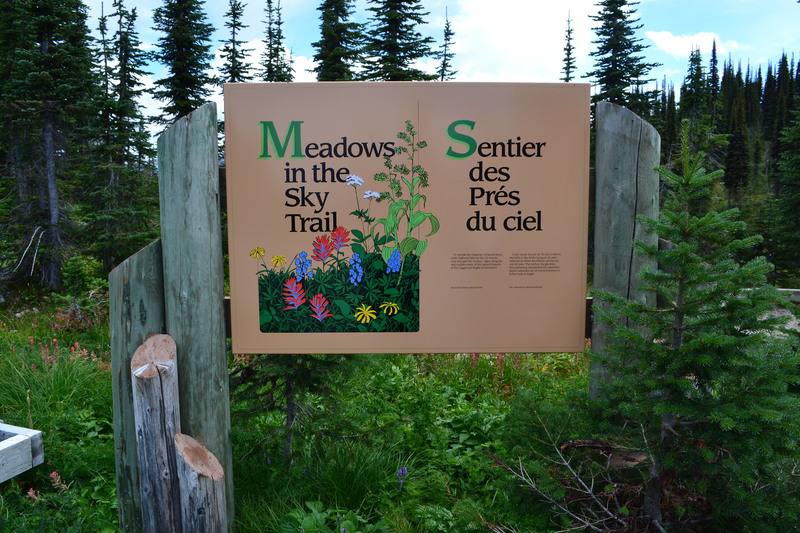 Meadows in the Sky trail. The icebox on the Meadows in the Sky trail.